A pilot program will test a new in-home school readiness program for preschoolers from rural families in South Carolina who are English language learners. The Waterford Institute will implement the six-month pilot for 70 students in conjunction with three pre-school centers in the state: Thornwell Home for Children, Brookland Academy Child Development Center and Daniel Island Academy. Along with the software and training for the parents, Waterford will provide Chromebooks and Internet access for families that do not have it. Participants will use the Upstart program, which includes more than 7,000 educational activities in reading, math and science, for 15 minutes a day, five days a week. At the end of the pilot program, it will be evaluated using usage data, assessment scores and anecdotal feedback from parents and children. The goal will be to help the children develop early reading skills, alleviate any potential academic gaps and eliminate any technology gaps for pre-K students who may not have previously had access to computers. "That growth would mean our children are even more prepared in literacy skills in kindergarten," said Brookland Academy Child Development Center Director Jennifer McConnell, "and that's exciting for us." The in-home Upstart program has already been piloted in Utah. "Evaluations of the Utah pilot have shown that Upstart closes early learning gaps and that children, regardless of their socio-economic background, show significant gains in critical pre-K skills," said Waterford President and CEO Benjamin Heuston. 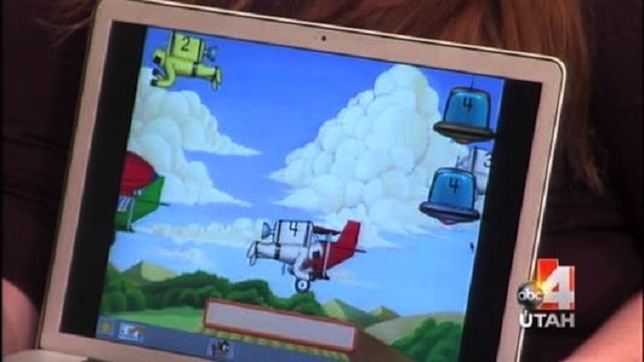 Although Waterford Institute's software programs are used in schools and preschools throughout the United States, these pilots represent the first tests of its in-home program.